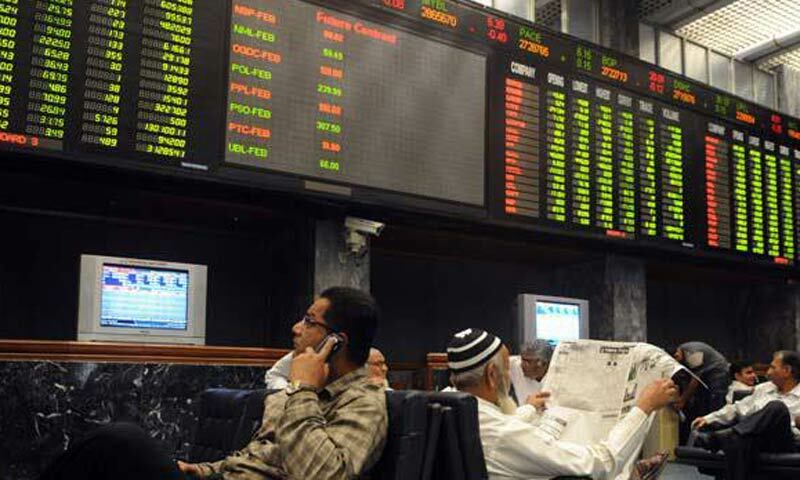 KARACHI: The stock market saw fourth consecutive session of declining trend on Tuesday with the KSE-100 index reeling down by 119.51 points to 25,884.38. In the equity meltdown that started late last week, index has lost nearly 3 per cent. Scared investors continued to take profit and seek an exit as situation on the security front seemed to deteriorate. Among the locals, mutual funds offloaded to meet some redemption. The only ray of hope was the confidence of foreign fund managers, who invested another $2.03 million in Pakistan equities on Tuesday. Second and third tier stocks led the volume and as the aggregate turnover increased to 225m shares, from 174m shares the day ago, small investors and punters were thought to be in the lead of sellers. Dealers at Sherman Securities stated that the deadlocks in talks of government officials and the Taliban caused negative sentiment and trial of Musharaf put investors on cautious footing. Analyst Mujtaba Barakzai at JS Global commented that the market remained volatile and closed in red as the uncertainty pertaining to talks with Taliban continued to affect the market sentiment. FCCL announced a cash dividend of Rs0.75/share and BAHL announced a bonus issue of 10pc with a dividend of Rs2/share that boosted investor confidence in these stocks. Samar Iqbal, AVP Sales at Topline Securities, stated that the market witnessed result driven activity as Hub Power Co and Kot Addu Power Co disappointed December quarter shed 75 points in the benchmark index as both the IPPs closed 5pc down. On the contrary, better result announcement from Fauji Cement brought renewed interest in cement stocks. With 20pc improving volumes, mid cap stocks FCCL, LPCL and AKBL remained the volume leaders while renewed interest was also seen in stocks like NML, PPL, NBP and MCB Bank.